and the fibers tangle together. The more I poke, the more I can shape and sculpt the wool..."
Once they see how things are made, then it seems as though they have a better appreciation of the total work and time that goes into each piece. 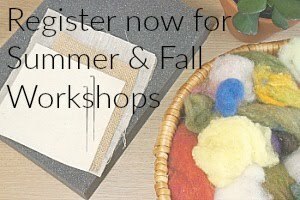 Needle felted pieces are not something that can be mass produced--at least very well. I'm just a one gal show over here (plus the work my husband puts in). As much as I wish I could make more things, my time is finite, which means my productivity is finite too. Sometimes I'm envious of graphic designers and artists who can make prints--they can produce so much product. They can send their work to shops across the states--out of the states even. I struggle to renew local consignment orders. Thank goodness the shop owners are patient. But I digress. 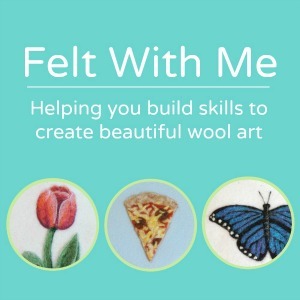 Below is the step-by-step process with short descriptions of how I made the wool painting from week 3 of 52 Weeks of Felt Paintings. Enjoy! 1. Blank needle felted canvas on my felting foam with my 6-needle tool. 2. The four shades of blue I used for the sky. 3. The entire background was covered in one blue. 4. Other blues laid out on the canvas to determine how I wanted the gradient. 5. All the blues are felted down. 6. Playing with composition with shades of pink and purple for the balloons. 8. And worked my way toward the front of the bunch. 9. 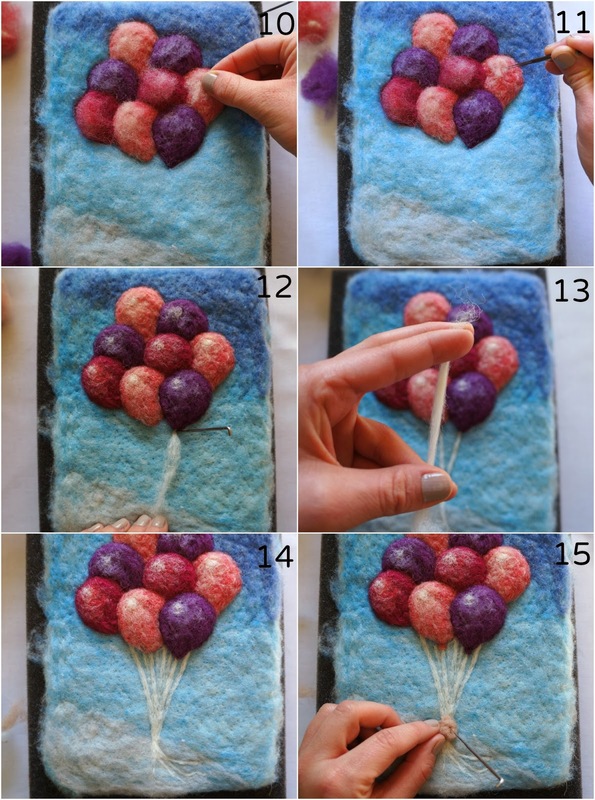 All balloons are felted in place. 10. Placing lighter colored felt for balloon highlights. 11. 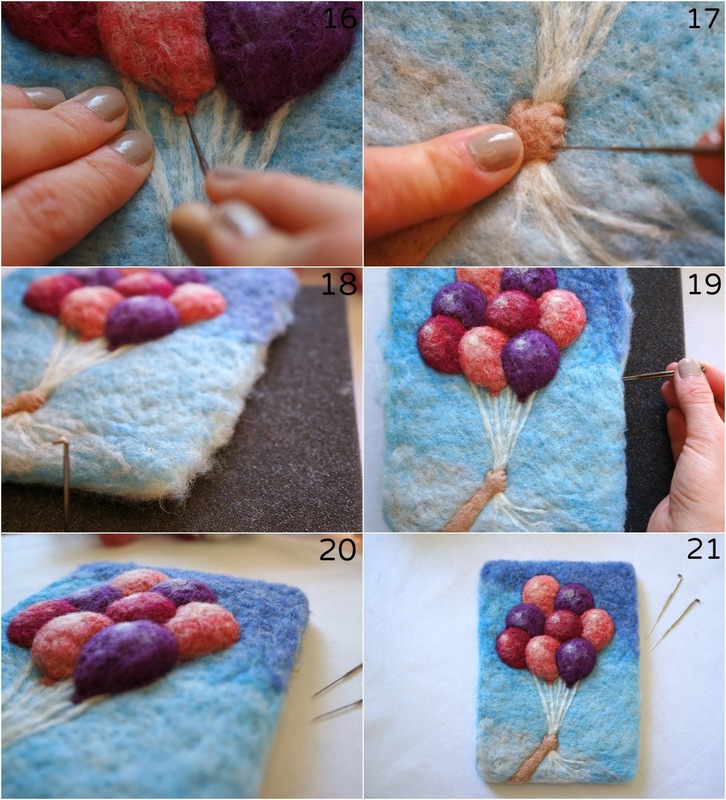 Balloon highlights are felted in. 12. I also added some white into the highlights. Determining string placement. 13. "Stretching" the wool into long pieces for the strings. 14. All the strings are in place. 15. Adding flesh colored wool for the hand and arm holding the balloons. 16. Adding small balloon details. 17. Small detail work on the hand. 19. ...so I cleaned them up with my felting needles. I didn't time myself while making this. It's not terribly detailed, so I guess it took a total of 1.5 hours (give or take a bit) not including all the picture taking. More detailed pieces take up to 3 or 4 hours. It truly is a lot of layering, and it's easier to build up the felt rather than take it away. 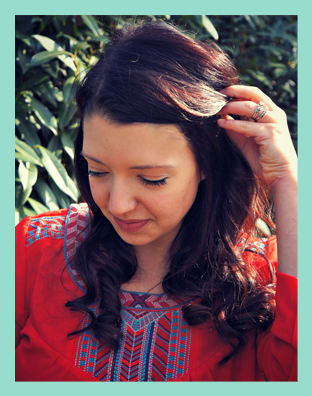 Does anything about this process surprise you? Well, it looks like more work than I'm willing to do! ;) It's such a cool process- where did you even learn about it?? I love it so much! I really hope to own one of your pieces one day. I'm pretty crafty and I would love to be able to do this some day, but I have a long list of projects! I'll be happy just to have one of yours! You're so talented! 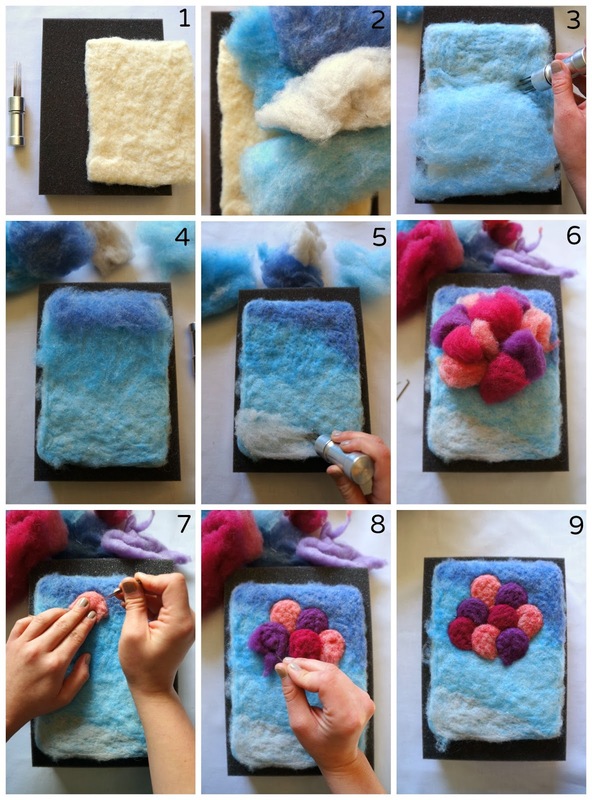 I love this felt painting, it's so cute! that is amazing! i always wondered how you made your art and how you got into it. so cool you taught yourself!